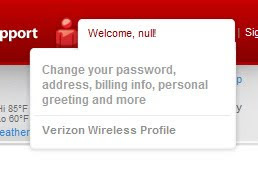 Welcome, null! : Is There A Problem Here? : Welcome, null! It is nice to know that Verizon Wireless knows me well enough to customize their web site just for me!